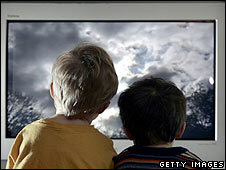 A free satellite television and radio service from the BBC and ITV is being launched across the UK. Freesat is available to 98% of homes, including those that are unable to receive Freeview through a TV aerial. It will carry 80 digital TV and radio channels, including free high definition programmes, with that number due to rise to 200 by the end of 2008. Users will make a one-off payment for a dish, set-top box and installation, but will not pay a monthly subscription. 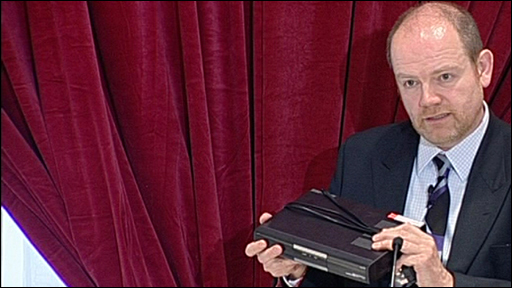 The price of a box will start at £49, rising to £120 for a high-definition (HD) version. The cost of installation, including the satellite dish, will be a further £80. The BBC, ITV and Channel 4's digital services will feature on Freesat, with news and children's channels among the others on offer. The BBC's HD channel will appear on the service immediately, while ITV HD will launch soon. ITV executive chairman Michael Grade called Freesat "the final piece in the digital jigsaw that will ensure that all viewers in the UK have access to free-to-air digital and high definition TV". BBC director general Mark Thompson said: "All the BBC's digital channels, including BBC HD, will now be available to all licence fee payers wherever they live and however they choose to access them." Emma Scott from Freesat told BBC Radio 5 Live: "It's only homes that really don't have a clear line of sight to the satellite that can't get it, or certain listed buildings. "But unlike Freeview, you can receive Freesat across the country, which means that in those areas that at the moment can't get access to free digital television this is the first time that you can get free digital TV." The BBC's media correspondent Torin Douglas said the BBC and ITV were hoping the new service would also increase interest in high definition television. It is thought that around 10 million homes in the UK now have a television set capable of carrying HD, but most do not have a receiver or subscription. Mr Grade said ITV's HD service would launch "with an unrivalled line-up of premium football". It will only be available to Freesat users, a decision which drew criticism from BSkyB. Chief operating officer Mike Darcey said: "They are deliberately withholding free-to-air content from almost half a million Sky HD homes. "This is curious behaviour for a public service broadcaster." The BBC Trust has said Freesat is guaranteed to remain subscription-free. Set-top boxes will be available from high street retailers, who will also arrange installation. Sky already offers a service that is also free to view once the equipment has been bought.